Voice your opinion! 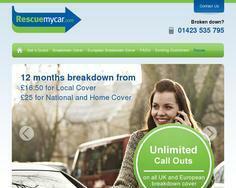 Review Rescue My Car now. This is a nightmare. For months I have been trying to get someone to help me with my service issues. I am being actively ignored by the customer service agents that work for this company. Even talking to a manager did not yield any results. I don't know why I have stayed as long as I have, and I don't plan to be part of this much longer. Is Rescue My Car your company?